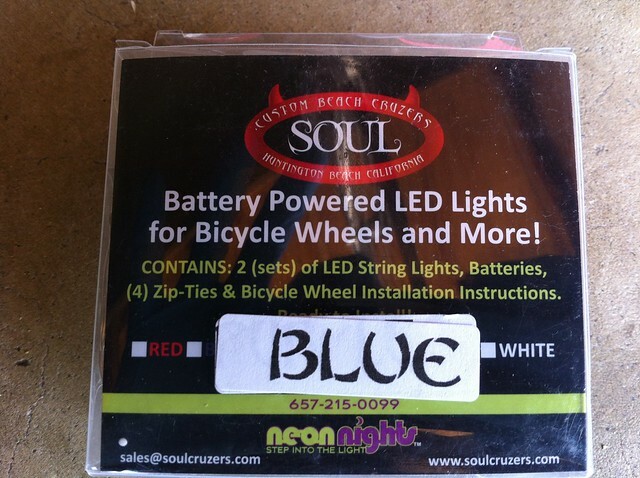 Back in April the kind folks at Soul Cruzers sent us an LED bicycle wheel light kit. 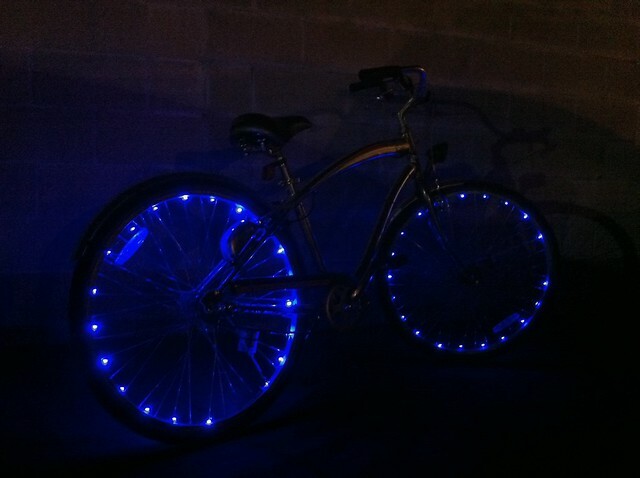 Basically it’s designed to light up your wheels by attaching a string of LED lights to your spokes. When I opened up the package to install the lights, I noticed one of the light sets wasn’t working. 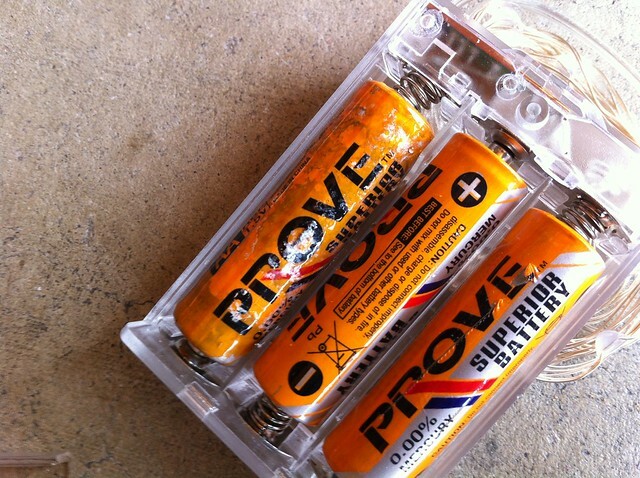 From the looks of it, the batteries that came with it went bad. I went ahead and replaced them with a fresh set. Soul Cruzers does recommend replacing the “oem” battery with a higher quality like Duracell and the like. After installing the fresh batteries, the lights worked great. The Soul Cruzer directions say that I need to loop the wire on every other spoke. The bike I installed the Soul Cruzer lights on was my daughter’s bike, the Nirve Ultra Liner. 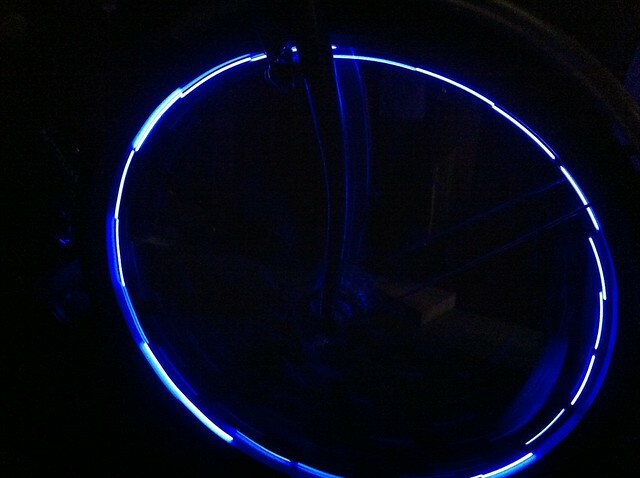 Though their site states that the LED lights will fit a 29″ wheels, the Nirve Ultra Liner is equipped with 700c wheels and you can see from this photo, the wire doesn’t completely go all the way around. Does it really make a big difference? Well yes and no. If they say it will fit 29″(700c) wheels then you’d think the wire would be long enough, right? But when you light up the LEDs, can you really tell where the gap is? To answer the questions above, look at this photo. You can see a gap on the rear tire around the 5:30 position, the front wheel has a gap on the 3 O’clock position. Another thing I’ll mention, the rear wheel has fresh batteries, while the front has the OEM batteries. On a fresh set of batteries they stayed lit for 5 hours, while the OEM batteries started to go dim after 20 minutes of use. So how do the Soul Cruzers LED wheel lights look while spinning? Well, I gotta tell you, they do look great! It’s probably one of the better ways to get seen by cars because the bright colors help you be seen by anyone. From pedestrians to drivers, they’ll see you! There were 2 things that didn’t like, for one, the length of the wire. 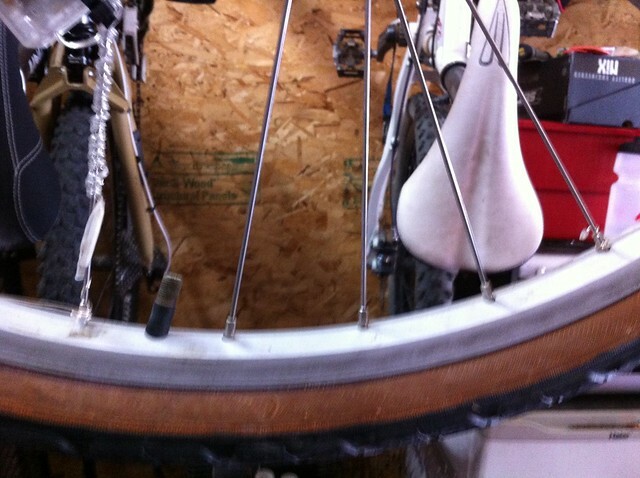 It probably needed another 5-6″ to properly fit a 29er(700c) wheel. I figured Soul Cruzers had probably designed them to fit on the beach cruisers they sell, and those have 26″ wheels, so if you have a 26″ wheeled bike, they would be fine. Another thing was the OEM battery — they really should last longer than what they did. But if you plan on using these lights on a daily basis for your commute or for bar hopping, then I’d recommend using rechargeable batteries. Other than those 2 things I mentioned, I have to say the Soul Cruzers LED Bicycle Wheel Lights are pretty fun to have on a bike! Oh I forgot to mention that they do have a blinker setting. So you can have one wheel run solid while the other blinks. I actually like the idea that the LED light isn’t just kept in one small container like traditional LED lights are, but these lights allow you to have lights on a larger scale. 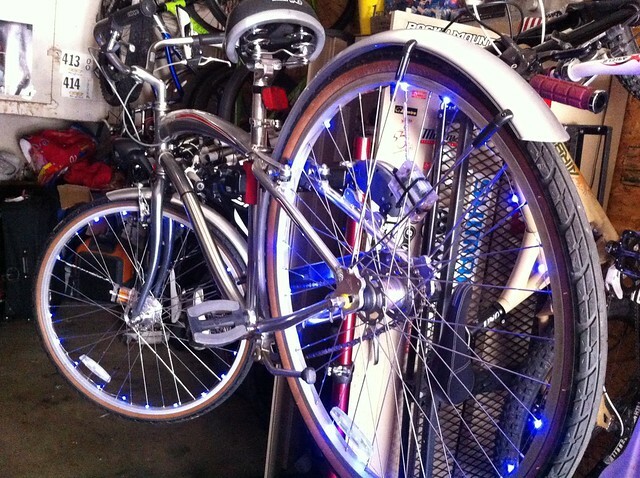 They would be great to supplement your front and rear LED lights to give you that added visibility.